Martin Luther King Jr. Day is Jan. 21, and several events to commemorate the holiday are planned in Fayetteville. Activities begin at 9 a.m. on Saturday, Jan. 19 with a community service project at the Fayetteville Boys & Girls Club. On Sunday, Jan. 20, a Dr. Martin Luther King Jr. Memorial Service is planned at St. James Missionary Baptist Church in Fayetteville at 3 p.m. The service will feature speaker Dr. Todd Kitchen, Vice President of Student Affairs at Northwest Arkansas Community College. Events on Monday, Jan. 21 kick off at 8 a.m. with the MLK Dream Keepers’ Youth Unity Breakfast at the Janelle Y. Hembree Alumni House on Razorback Road, followed by an activity meetup at the HPER Building on the University of Arkansas campus at 9:30 a.m. 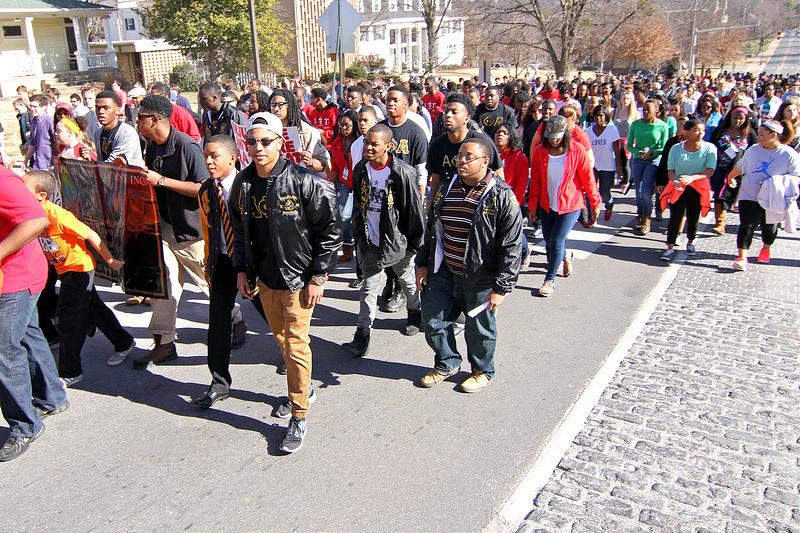 The MLK Freedom March begins at 11:15 a.m. at the parking lot on the northeast corner of Martin Luther King Jr. Boulevard and Razorback Road. Participants will march to the Student Union on the UA campus for the Noon-Day Vigil at Verizon Ballroom. At 7 p.m. Monday, the 23rd annual Recommitment Banquet will take place at the Fayetteville Town Center with keynote speaker William “Trey” Smith, a UA student and former Dream Keepers president. For banquet tickets and more information about holiday events, visit www.nwamlk.org.